The statistics are horrifying. One million people go missing in the United States each year. Over eight million children go missing worldwide. Many are never seen again. This post is about some of the missing person cases that trouble me. If you have any information that could help solve one of these mysteries, please call 1-800-222-TIPS. 1) On Christmas Eve 1945, a devastating fire occurred at the Sodder home in Fayetteville, West Virginia. The parents and four of their children escaped, but five other children were still missing. When the father attempted to rescue them, he was stopped by the extreme heat and ferocity of the blaze. He raced back outside, hoping to reach them through the upstairs windows, but the ladder he kept propped against the house was missing. Not ready to give up, he decided to drive one of his two coal trucks up to the house and climb on it to reach the windows. But even though they’d functioned perfectly the day before, neither of his vehicles would start. The devastated parents realized that five of their children were doomed to perish in the fire. Except…no remains were ever found. Just before Christmas, some members of the family had noticed a man parked along a highway, staring at the younger Sodder children as they came home from school. Christmas Eve had been marred by an odd phone call and a loud bang on the roof. Unfortunately, no one in the family attempted to find the source of the sound. As the investigation into the fire continued, a man from the telephone company told the Sodders that their phone lines had been cut. And although the blaze was deemed an “electrical fire,” the downstairs lights stayed on. To complicate matters further, a Charleston woman claimed to have seen the children a week later with two Italian men who grew hostile when she tried to speak to the kids. The family hired more than one investigator, but the mystery has never been solved. The victims’ last remaining sibling is convinced her brothers and sisters were not killed in the fire. 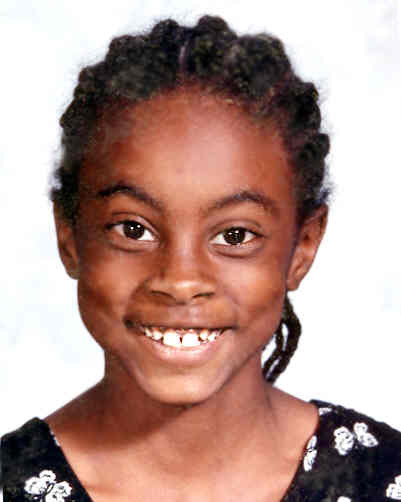 2) Nine-year-old Asha Degree vanished on Valentine’s Day–February 14th, 2000. At 6:30 a.m., her mother noticed that both Asha and quite a few of her belongings were missing. Two truck drivers stated they saw her walking down a highway between 3:30 a.m. and 4:15 a.m., before she turned off and disappeared into the darkness. Three days later, her pencil and hair bow were found in the doorway of a tool shed not too far from where she was last seen. Some 18 months later, her book bag was found double-wrapped in trash bags 26 miles from her home, in a different direction from the one she’d been walking. That was the last sign that was ever found of Asha. 3) Three-year-old Madeleine McCann disappeared during a family vacation in Portugal in 2007. She and her twin siblings were left sleeping at 8:30 p.m. in a ground-floor apartment, while the elder McCanns and their friends dined in a restaurant 160 feet away. 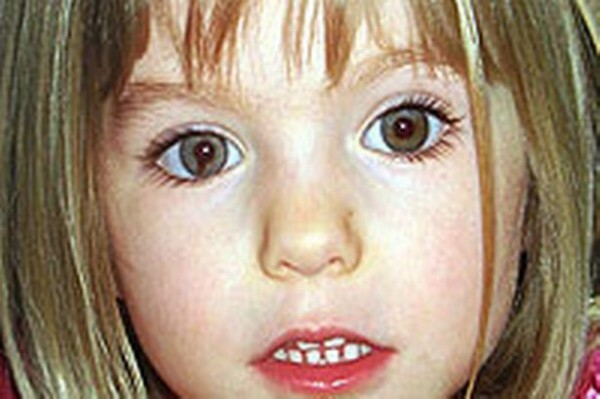 Mother Kate McCann checked on the children throughout the evening, and discovered Madeline was missing at 10 p.m. The parents were frantic and have done everything they can to find their daughter, including hiring more than one private investigator. Although the parents were originally suspected, there was no evidence tying them to the crime. No trace of Madeline has ever been found. 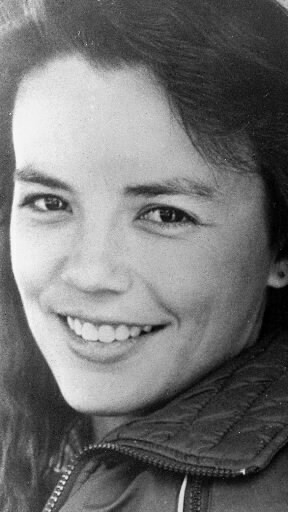 4) Out of all the missing person cases I’ve read about, Julie Weflen’s disappearance is one I’ll never forget. Weflen went missing near Riverside State Park in Washington state in 1987. To learn more about Julie, please click here. I would love it if you’d share the post about Julie with your network. Someone has to know what happened to her. What’s the strangest missing person case you’ve ever heard about? Why do you think so many people vanish? So sad and creepy. Especially the Sodder children. Who can take five kids? Even two men doesn’t seem like enough. Very odd. It is very odd, but in the confusion of the fire, they might have thought they were being rescued and followed the men out willingly. Or maybe they weren’t even in the house when the fire began…I can’t even imagine what it was like for the remaining siblings and parents. A lot of creeps in the world…sad but true. Why are we so fascinated with missing people? It’s weird…we know most of them were probably killed by a psycho, but the possibility that they’re still out there somewhere… It’s just so strange to me that a human being could suddenly disappear. Did I ask you already if you ever watch Disappeared on ID? That show is my addiction!!! Heading over to read about Julie Weflen now. Thanks, Stephanie. I’d really like to help the search for Julie, even though the case is so cold. You just never know…. I think our fascination comes partly from fear. These were just ordinary people, living their lives, and suddenly, they were gone. If it can happen to them, it can happen to anyone. I remember hearing about Madeleine McCann. Her eyes were haunting to me, especially how it looks like the pupil in her right eye is bleeding or leaking. That Sodder story is creepy. I was going to say that the fire must’ve been a ruse to hide the fact that those kids were missing. I agree, Chrys. I think that’s exactly why they started the fire. Obviously they had no soul or conscience if they were willing to steal five children and callously murder the rest of the family and destroy their home. Madeleine’s eye is an unusual birthmark. Her parents hoped it was one way the public would be able to identify her. Scary to think someone took those five children. Taking one would be a challenge, but how do you get five out of a house? Especially without anyone else in the home waking up. That’s what really puzzles me. The only thing I can think is that they started the fire before taking the kids, and used the fire as a ruse to “rescue” them. These are always the worst kinds of cases . Not knowing if they are dead or alive. I agree, Djinnia. I can’t even imagine the hell their loved ones go through. I would think finding out the truth would become an obsession. I was living in Leicester when Maddie went missing and it just took over the entire city. I can believe it, Rhi. What a sad story. Welcome to my blog! Missing person cases are the ones that mostly get me running mad. It’s so frustrating and upsetting to not know this person you lost is dead or alive, weather you should keep looking and hoping and making your life evolve around finding them or give up and move on. Every time I hear someone went missing I feel a dent in my heart, especially children. You know there are crime organizations specializing in children traffic, that could be the case many times, especially where I live. From all those you mentioned I only know about Madeleine because it went viral and I saw it on Oprah. They are really sad and infuriating, Haneen, I agree. The thought of child trafficking makes me ill.
I’ve heard of the Sodder children’s case. It’s a creepy one. Now we’re at the worst monsters, the unseen that prey on children, may they burn in whatever hellish dimension awaits them. I agree, Frank. Humans are the worst monsters. Fortunately, I’ve never experienced a missing child case personally. Of course, I hear about them frequently, then later find that a disgruntled parent has abducted them. That’s the best case. The worst is they’re never seen again, like the ones in your post. I can’t imagine the constant torment of never knowing what happened to a son or daughter. Add the mystery of things that happened like that fire, and I’d be forever grieving. I imagine that even worse than losing a loved one is never knowing what happened to them. Some children have managed to survive and escape kidnappers after a seemingly impossible amount of years. It has to be so terrible to keep that hope alive, year after year, knowing all along that your child, or wife, or sibling, could be dead. So creepy. Life is so much stranger than fiction sometimes. Humans can be so bloody evil. I agree, Lisa. The worst monsters are human. Thanks for the kind words, and thanks for reading. I remember Madeleine McCann going missing. It was all over the news and our seemed like our whole country paused, waiting for news. Some suspected the parents, and they were certainly vilified for leaving the children alone while they went out to dinner. But they have to live with that decision for the rest of their lives. That’s punishment enough. And vilifying then doesn’t bring Madeleine home. I think we get caught up in these stories because every story needs a beginning, middle and end. Missing persons stories don’t have an end. Just a protracted middle that could go on for life. So sad. So hard to deal with. Impossible to move on from. And there’s also the possibility that it can happen to us…. While I don’t think the McCanns did the smartest thing by leaving their small children unprotected, you’re right–what good does vilifying them do? Hopefully it serves as a cautionary tale to a lot of other parents. I’ve read that one of the things that cast suspicion on the mother was that she kept crying, “They took her!” Who was she referring to? The very first story about the fire is incredibly odd, and so tragic. It’s the kind of thing you’d expect from a novel, not real life. It reminds me of that true story behind the film Changeling – have you seen it? A friend of my parents had a very very near catastrophic experience: her little girl popped into a shop in a theme park to buy something. The mother waited outside, and the little girl came out just as a large group of tourists walked past, and she got swept along with them – but the mother didn’t see her because the group was so large. A man (they never found out who) then appeared and led the little girl away from the group, and she was too flustered and confused to resist or protest. The mother by that point was frantically searching for her daughter. Luckily the man let go of the little girl briefly and she had the presence of mind to turn and run, and she found her mother. The police reckon he must have been arranging for a car or someone to come pick them up when he let go of her, and that if she hadn’t turned and run the parents would likely never have seen her again. The whole thing took place over a couple of minutes. It was a simple case of a coincidence with that large tourist group, a moment of confusion, and some monster there to take advantage of it. It’s terrifying how easily and quickly something like that can happen. Wow, that’s really scary Celine! Thanks for sharing the story. It shows just how easy it is for something horrible like that to happen. I’m glad the little girl managed to escape. Did they ever catch the guy–I’m guessing not? Welcome to my blog, and thanks so much for your comments. I have seen The Changeling–it’s one of my favourite horror movies (the 1980 movie, not the 2008 one). I suspect you’re probably referring to the 2008 version. I’ve had one or two close-calls when I can’t see my son for even a moment when we are out somewhere and I always think someone took him. Just that moment is terrifying. I can’t even imagine if it really happened. My heart would never survive it. The waiting, the uncertainty, the suffering that these monsters create is beyond cruel. I agree, Heather. It must be so terrifying to be a mother, in a lot of ways. I’m really glad nothing like this has happened to you! Dreadful statistics that so many people, many of them kids, go missing without a trace. The story of the 5 kids is the most incredible, trying to get 5 kids to go off with someone seems like it would be impossible. I agree, Jo. It’s really bizarre. The statistics are beyond horrible. We clearly haven’t got a handle on this type of crime yet. Great blog, JH. I’ve been reading your various posts for the past couple of hours. I live in a smallish town in NJ, not too far from Philly. We have two mysterious disappearances in our area that have gripped the locals for years. The first is the disappearance of 14 yo Margaret Fox in 1974. She took a bus from Burlington, NJ to Mt Holly, NJ (a roughly 15 min trip) to meet a man for a babysitting job. She was last seen getting off the bus in Mt Holly and then simply disappeared into thin air. There’s been no sign of her ever since. The second affected my family directly. A friend of my older brother’s, Lorraine Herbster, was dropped off at an intersection near her house by a co-worker in 1979. She was last seen walking down the street to her house and then…gone. No sign of her ever since. Lorraine disappeared from Westhampton, NJ. Both of these cases can be found on the ‘net if you want to read more about them. We also have two strange, unsolved murders. One happened two blocks away from me in the 1980’s. A girl, she was around 16 or 17, was left home alone while her parents went out. 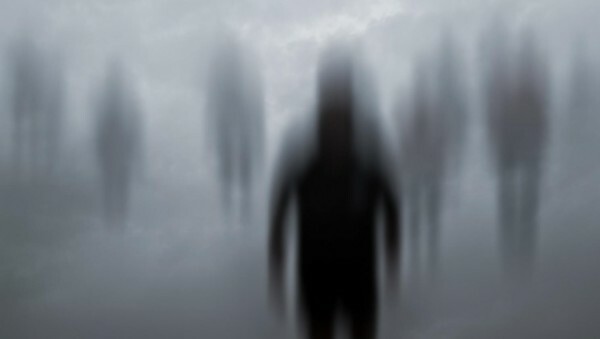 When the parents got home later that night they walked up to the house, everything appeared normal. They walked in to discover their daughter wasn’t home, they looked around the house for her since she didn’t leave any notes or anything. The mother went to put her coat in the hall closet and found the daughter’s body in the closet, covered in stab wounds. No one was ever arrested and no motive is known. The other was a body found on the side of the road in Burlington, NJ (I forget when, I think it was in the late 70’s/early 80’s). They discovered a body on the side of the road, partially decomposed, no identification. The person remains unknown and the circumstances of his death are still unknown. Thanks so much for commenting and reading, Dominic. I hope to see you here again. I appreciate all the time you took to share your stories with me. I find these events fascinating (sad but fascinating), and am definitely interested in them, especially the girl in the closet. I’ll do some research and see what I can come up with. Thanks again! Did Lorraine have any ties to someone named Glenn? Could have been a friend or boyfriend? I’ve heard stories from my mother talking about how her sister had a boyfriend named Glenn back in the early 80’s. My mother apparently heard a rumor that Glenn had a girlfriend in his past who threatened to break up with him, and she was never seen from again. My mother told me that the girl lived in Willingboro Township, but I believe it is possible that she could’ve lived in another township, but visited Glenn often in Willingboro. Anyways, after my mother heard the news that Glenn could have been responsible for the whereabouts of a missing girl, she immediately told her sister to cut ties with Glenn. Glenn was a possible marijuana dealer, and used marijuana himself, and even possibly harder drugs. These stories are so sad & tragic. My heart goes out to their families. Thanks for commenting, Sally. I share your sentiment. i live a few hundred feet from where julie weflen was last seen! A parent’s worst nightmare! I think missing children is half people becoming lax in observation and attention, quarter the totally unexpected things a child may do, and a quarter a predator who is either totally unexpected or extraordinarily cunning. As my children were growing up, this was my main fear, that they would be taken from me and I’d never know what happened to them. I can’t live in that fear now or I’d go crazy. Nightmares don’t get any worse than this. I have a hard time sometimes watching fiction crime/police shows because of these statistics… I wish we were as good finding these missing people in real life as on TV. I can only imagine, as I don’t have children. I watch a lot of true crime docs, and the ones where people have gone missing are the saddest. To never have answers, to always wonder if maybe someday they’ll come back…it must be impossible to move on with one’s life. We have the Jacob Wetterling case here in Minnesota. It was finally solved last year. The man who abducted him in 1989 finally confessed to killing him and showed authorities where he buried the body. Also, an older man wandered off, probably, a few years ago. He was diabetic and left his meds in his car. He probably got lost in the woods or maybe passed out or got hurt, but no one has found any trace of his body. People go missing for many reasons. Some by choice. Some probably get lost or wander off in the woods and die. Abductions and murders happen every day. The world is a terrifying place. That it is, Mary. I’m glad the Wetterling case was solved, however horribly. We had one here too where a middle-aged woman disappeared. They found her body this year, but still no answers. It must be the worst kind of agony for the families. I share the same fears as the other commenters. Whenever my children went off with friends or to spend the night, there were always anxious moments when my mind tormented me with the worst case scenario. I guess that’s part of being a parent. I can also remember losing sight of one for a few heartstopping seconds in a store when they were small. It’s an awful feeling. It is awful, Tamara. On one hand, people think it won’t happen to them, but on the other, the people it does happen to thought that way too. Look what happened to little James Bulger, who slipped away from his mother at the mall. It only takes a minute. If I had kids, I’d probably be completely paranoid. Unfortunately these stories are only too common. I live about six miles from where Madeleine McCann and her family live. it is easy to speculate on what happened after the fact, and who is to blame, but as long as we exist, these horrendous happenings will too. Sad but true, Jim. I hope they find answers soon. A parent’s greatest nightmare…a child who vanishes and is never seen again. I remember losing my youngest in a very large foreign market and the terrified twenty minutes–more like twenty hours–I spent searching for him. I can’t imagine a lifetime of that kind of loss. So glad you found him, Lee! I can’t either. I imagine it must be the worst kind of pain. These are all so sad, but the Sodder family’s story sent a shiver down my spine. The Maddie case has baffled me since it began and there’s definitely more to it than meets the eye. How does a child just vanish like that? I find the adult cases even more bizarre. I just watched a show about a father of two who was bar-hopping with friends, excused himself to use the washroom, and vanished. There’s speculation he wandered to the ocean and drowned, but no trace of him or his belongings has ever been found. It’s too hard to comprehend why people do these horrifying things. Very interesting information, J.H. Thank you for sharing. You’re very welcome, Heather. Nice to see you around these parts again. That first one with the 5 kids missing is scary. I think the perpetrators started the fire and used that as a ruse to get the 5 out but what about the other 4? Did the other 4 not see anything or were they in another room? I wonder why the older kids didn’t try to escape or try to contact police? My best guess is they were threatened that the younger ones would be killed if they did anything. I feel horrible for the family left behind. I know about the little girl very well and never expected the parents of anything but dumb. UnFortunately, I believe that little girl is long since dead but the twin left behind must feel horrible. The last one, this is haunting because she is one of many who have died in this area. I believe she was a victim of a serial killer(s) and there are many killers who have not been caught or never have been. It is said that many serial killers become truck drivers because they travel through state lines and can’t be found too easily. It’s a shame really. Yes, it is. Awful. I would love to help find out what happened to Julie. Such a sad case. Those numbers are staggering! I just told Mark about your last blog and he shared with me that when he was in a Walmart the other day, the notice board had over 25 children that had disappeared over the years in this particular small town in California! He was flabbergasted. So, while your numbers sound really crazy to me, he had somewhat of an understanding for them. I sure hope most of those missing people are found! Yes, there are a lot of creepy people out there, but there must be other circumstances that make kids or adults “disappear”!? I think the worst part about all this is for the family, who doesn’t know what to think as long as no body has been found. Not to sound cruel, but I think sometimes the unknown and the never-ending hope is worse than finding out about the awful truth which could bring closure. It’s true, Liesbet, and it doesn’t sound cruel at all. I’ve watched so many true crime docs, and as awful as it is for families to find out their loved one is dead, at least they have closure and some answers and can hold a funeral or memorial service. The ones with no answers are forever haunted. I researched this blog some time ago, and according to an eagle-eyed reader, the stats have improved somewhat. Apparently “only” over 600,000 people go missing in the U.S. each year now. These are such sad, sad stories. I had no idea so many people went missing, never to be seen again. Apparently the numbers have improved slightly, but it’s still a huge issue. Missing persons cases haunt me. =/ Sometimes I drive past heavily wooded areas and wonder if they hold any secrets of those who’ve been taken and buried somewhere remote. It’s just so hard to not have closure in any situation, but especially something like that. I imagine that anyone who has ever had a loved one go missing, it is something that changes you for life, maybe even more-so than death. Wow, that does sound really sad, Nikki. Thanks for the link. I’ll look into it further. Maybe I can do something on it. This is so terrible and sad. Agreed. It’s the worst fate I can think of, which is why I’m so driven to help.